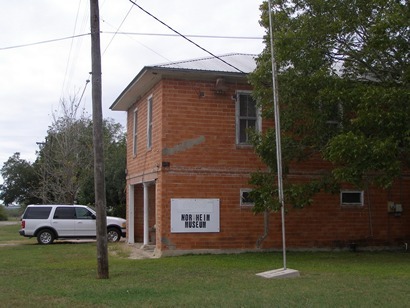 In the 1880s much of land around present-day Nordheim was owned by H. Runge & Co. of Cuero. 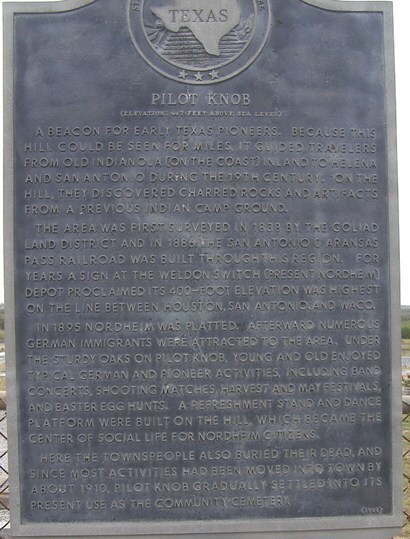 With the arrival of the railroad (The San Antonio and Aransas Pass) in 1895, a townsite was platted and a post office opened the following year. The president of Ringe and Co. suggested the name of his hometown back in Germany and it has been Nordheim ever since. St. Paul's Evangelical Lutheran Church organized in 1896 and the town gained a passenger depot in 1901. 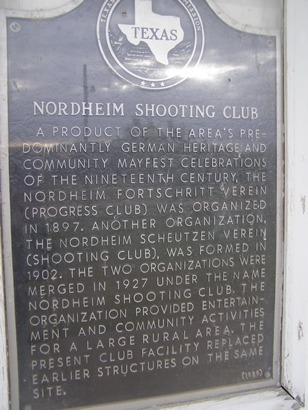 Nordheim got telephone service by 1900 and a newspaper and hotel in 1902. The town抯 predominant German population formed numerous social organizations including a Sons of Hermann lodge as well as a shooting club and a brass band. 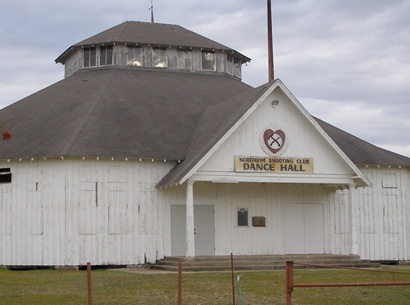 A bandstand constructed on Pilot Knob (the highest point in DeWitt County) became the town抯 social center. 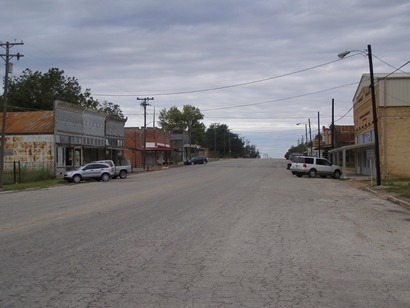 From an estimated population of 122 people in 1902, the town grew to 400 residents by 1915. 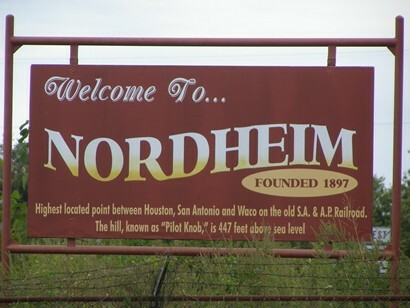 Nordheim incorporated in 1917 after the state proposed a law allowing only incorporated towns to operate saloons. By 1927 the estimated population peaked at 600 and Nordheim organized its own Independent School District, drawing in other schools from surrounding communities. On May 6, 1930, a tornado struck the town, killing eighteen people. 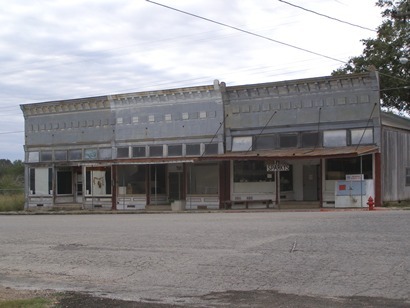 The devastation of the tornado and the onset of the Great Depression set the town into a decline and a year after the tornado struck the population had decreased to 400. By the early 1950s it had risen to 477 but by the mid 1980s it had returned to 369. 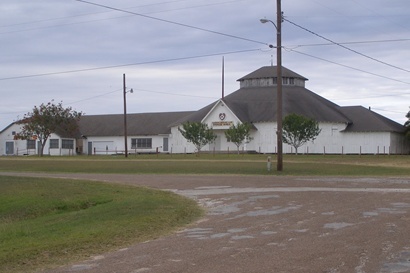 The Nordheim cotton gin managed to stay in operation until 1970. The Nordheim Brass Band, thought to be the last 揷ontinuous pioneer German brass band in Texas� disbanded in the 1970s. 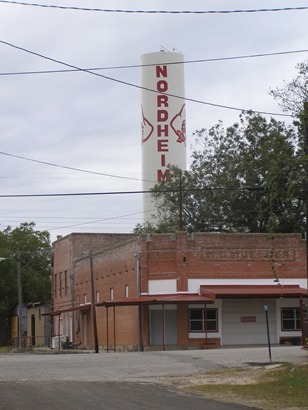 The movie Paris, Texas, was partially filmed in Nordheim in 1984.